You mixed 10 ml’s of mixing liquid with 5,000iu hCG. So. Mixing your hCG 2:1 – 10 ml’s of bacteriostatic water with a 5,000 iu vial of hCG. 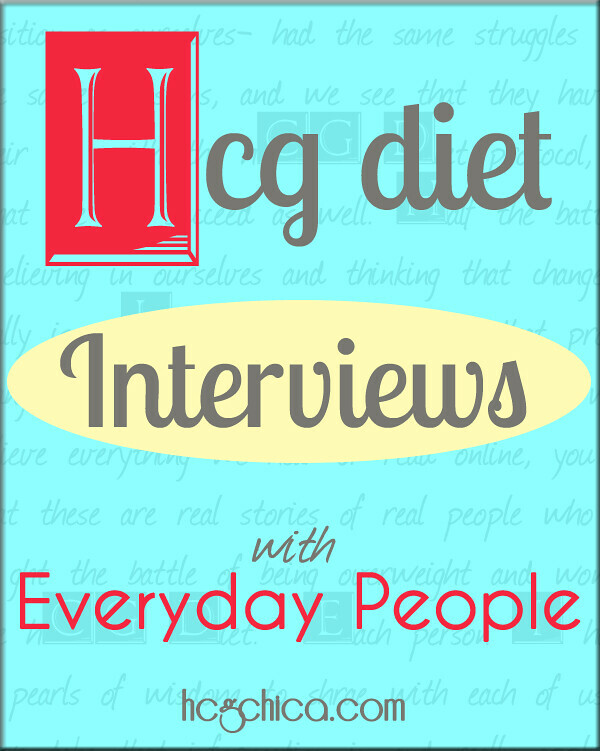 Some choose to mix in this way because they feel the hCG is dispersed in their body better. 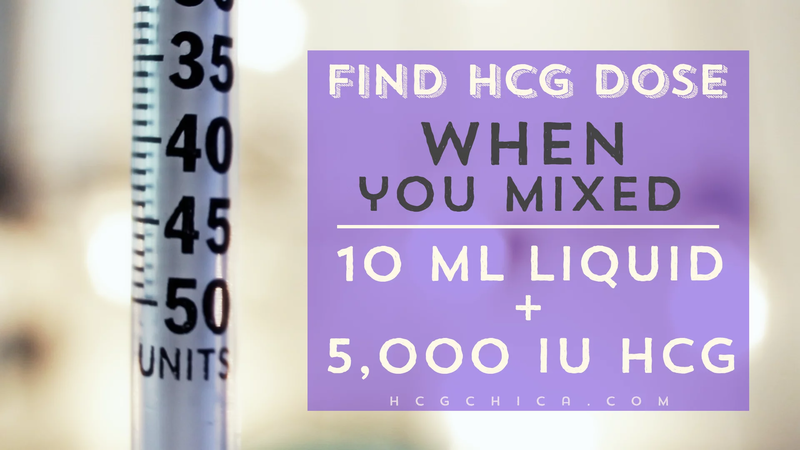 I always mixed in a 1:1 ratio (5 ml of bac water with 5,000iu hCG – tutorial on mixing 1:1 here, and hCG dosing for 1:1 mixing here.) 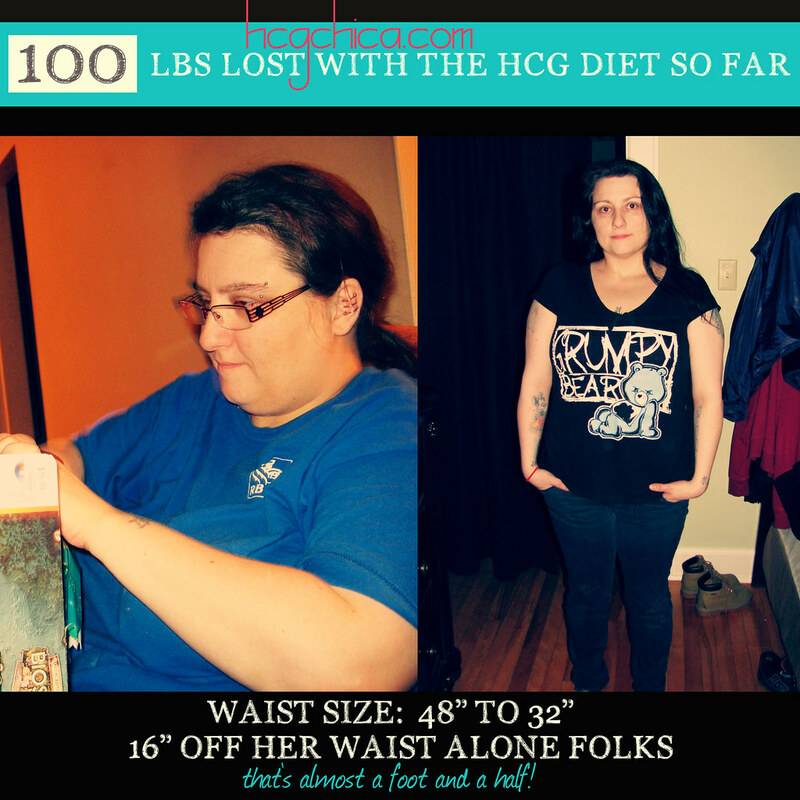 for all 5 of my hCG rounds, and I felt like it worked great. 1:1 mixing is currently the standard way most people do it. But it’s nice to have options right? Keep in mind though, if you choose to use the 2:1 mixing ratio with 10 ml’s of mixing liquid, make sure you check the size of your syringes FIRST because if you find yourself needing a dose any higher than 150 iu of hCG, you will need to have at least a 50 unit syringe (many of the online U.S. hCG injection companies and weight loss clinics now send 30 unit syringes). You can buy larger hCG injection syringes ala carte for this purpose if you found it necessary from missourimedicalsupplies.com – the ones I just linked to are 1 cc/ml syringes, so you should be able to get any hCG dosage you like with those when mixing in the 2:1 ratio. This tutorial shows you how to find the various hCG dosages for the diet if you have mixed in this ratio. If you need help knowing what hCG dose to take, you can find my tutorial on choosing and adjusting hCG Dosage here. Additionally, I have quite a smorgasbord of other hCG injection tutorials to help you guys out as well! I recently purchsed HCG and mixed it according to the instructions per Dr. Simeons. I wanted to start out with a 125 iu injection per day and it said to mix 20cc of bacteriostatic water for that dosage. I would need to inject .5cc. Since I have read your blog and learned the ratios you recommend for mixing, I’m concerned that I am not injecting the correct amount. I just started last Sat. and am now 5 injections into my cycle…very hungery all day. I need to lose 20-25 lbs. What do you recommend? You just might have to adjust your dose to get the right one for you. Please check out the dosing article for more explanation on dosing. Hi I have an important question. I mixed 1cc of bac water with a 5000ui of hcg. I’m trying to figure out the dose with a syring that is only (3/10) 30 units syring. I’m looking to do only 500ui a week. Also I mixed this around the begenning of June but it has been refrigerate since. Please help thanks. Mixed hCG only last 3-4 weeks when refrigerated and then it loses it’s potency.